2 independently configurable insulated alarms. Min or max, normally energised or de-energised. 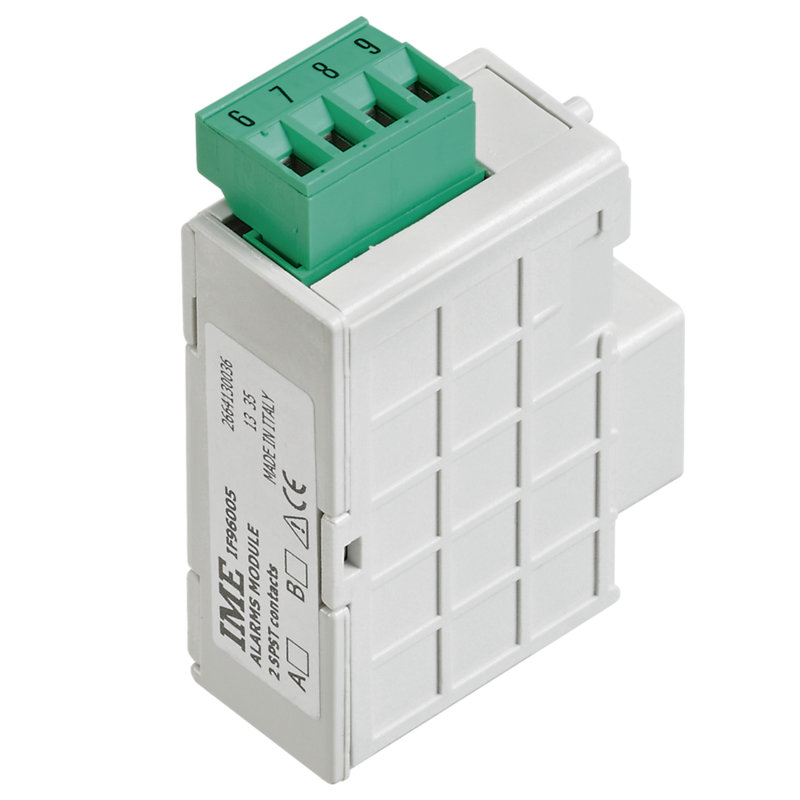 2 potential free SPST contact relays. 5A 250Vac Cosø 1, 3A 250Vac Cosø 0.4, 5A 30Vdc. IF96005 module used with meters of Nemo 96HD/HD+ series, allows the monitoring of electrical quantities through 2 alarms. For every meter (Nemo 96DH/HD+) it is possible to connect max. 2 IF96005 modules, obtaining in this way four alarms.